Hacker News has a discussion about the Simple English Wikipedia, which uses easier vocabulary and less complex sentence constructions than the regular English Wikipedia. This is great for mid-level readers and this year I’m going to start directing students to use this version during research projects. The New York Times published a lengthy, must-read article examining how investments in technology by school districts have not resulted in higher test scores. The article focuses on the Kyrene School District in Arizona, which has considerable investments in technology but stagnated test scores when compared to Arizona as a whole. The article also explores other factors affecting student performance in fair detail, such as economic factors and the difficulty of doing long-term studies of student performance related to technology. The cover image for "How to Count". The hand is showing the number 28 in binary. Steven Frank, the co-founder of Panic Software, creators of Transmit, my favorite ftp program, recently published an ebook titled How to Count: Programming for Mere Mortals, Vol. 1. I highly recommend buying a copy as unprotected pdf or epub for ¢299. While there are many introductory articles available for free that explain how to count in binary, this book quickly moves on to more advanced topics such as hexadecimal, signed integers and floats. The Seattle Times recently ran a story about a school in Maine that is supplying iPads in kindergarten classes. There is little mention about how they will be used other than references to “apps for phonics, building words, letter recognition and letter formation”. I hope they end up pushing the capabilities of the devices far beyond these uses. 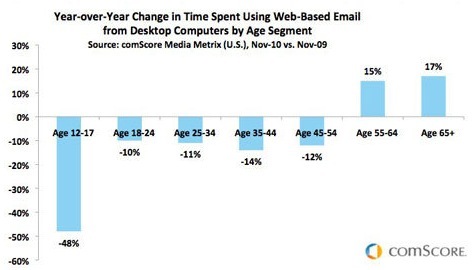 Wow, email really is for old people. Looks like I’m going to need to find a new way to share links with students during research projects. Update on July 16, 2011: actually, Delicious.com found new life with a new owner, so I’ve continued to use it. IWBs do not hold a candle to mobile learning devices which students KEEP and get to take home, as well as use in the classroom – if our goal is learning which meets individual needs. It’s harder, it’s messier, it’s filled with more questions, but it’s also the RIGHT path we should follow in the 21st century classroom and the blended 21st century learning environment. Wesley Fryer in response to a post on the Tech & Learning blog about interactive white boards.